Lara Pulliam joined School of Law in the fall of 2011. She currently serves as chief of staff and special assistant to the dean. 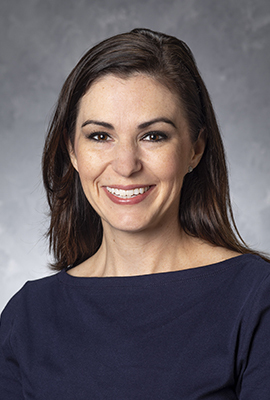 In this role, Lara oversees the day-to-day operations of the dean’s office, including senior administrative meetings, strategic communications, several of the law school's top scholarship programs and manages the law school’s Board of Visitors. She previously served as the director of stewardship in the Office of Law School Advancement where she worked to foster relationships between scholarship recipients, donors and the law school; managed the gift acknowledgement process for all donations to the law school; and worked closely with the dean on special initiatives that benefited the internal and external law community. Lara and her husband, Bryan, live in Bishop with their two daughters, Ella and Millie.